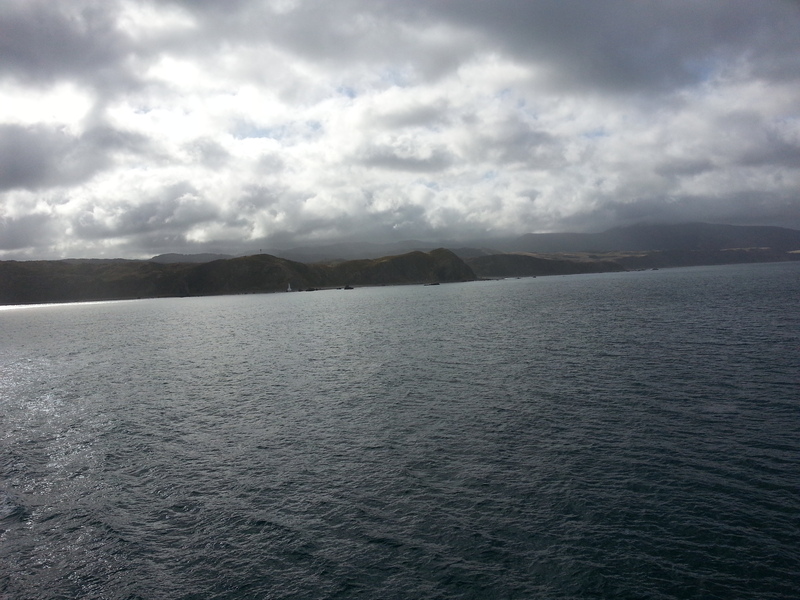 A short day today as a result of the 4 hour ferry crossing. The morning was spent crossing the Cook Straight. 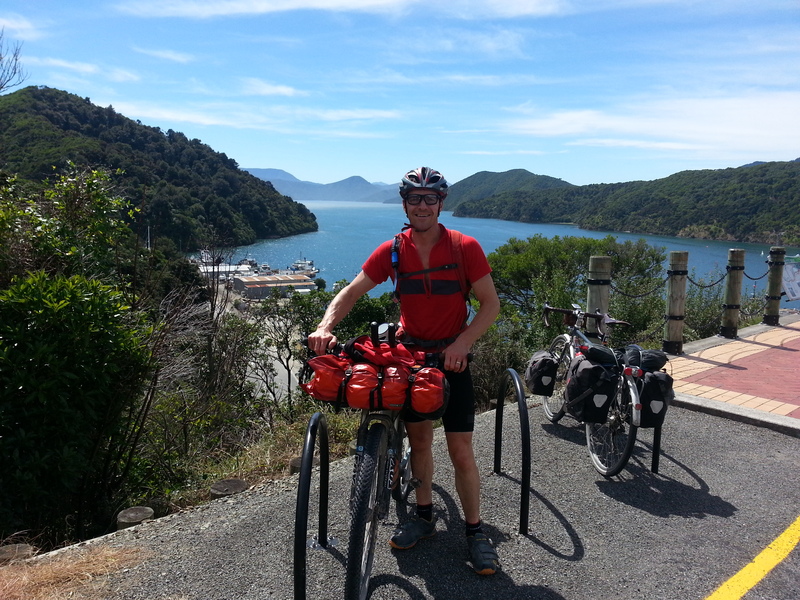 I was rather apprehensive when checking in and cycling our bikes through the vehicle part of the ferry as I had heard the crossing can be rough. Thankfully, the wind from yesterday had dies down and it was very calm. 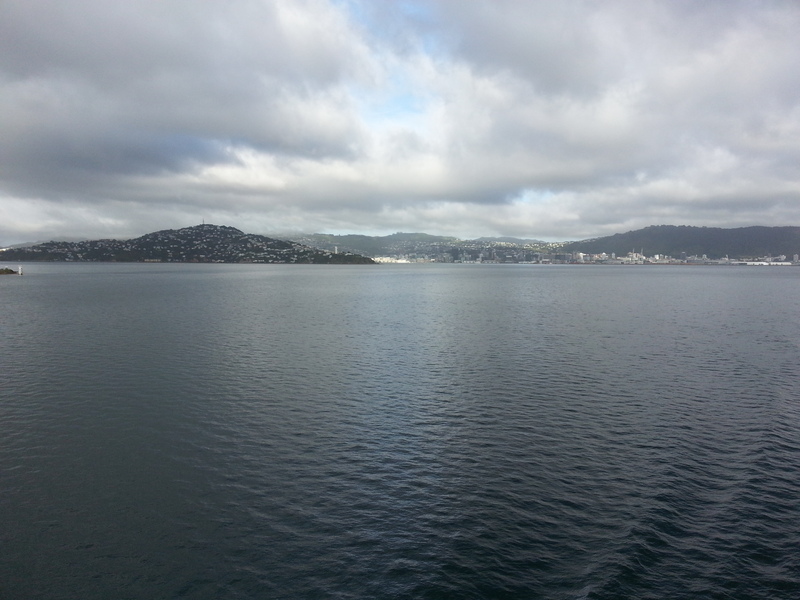 View looking back to Wellington as the ferry was leaving the harbour. 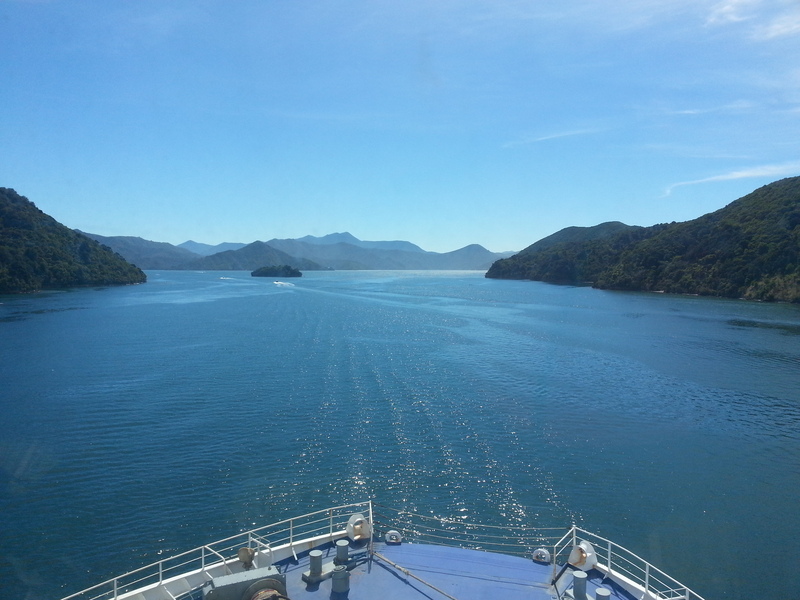 The skies cleared and when the ferry arrived in the South Island it was beautiful blue sky and very scenic. 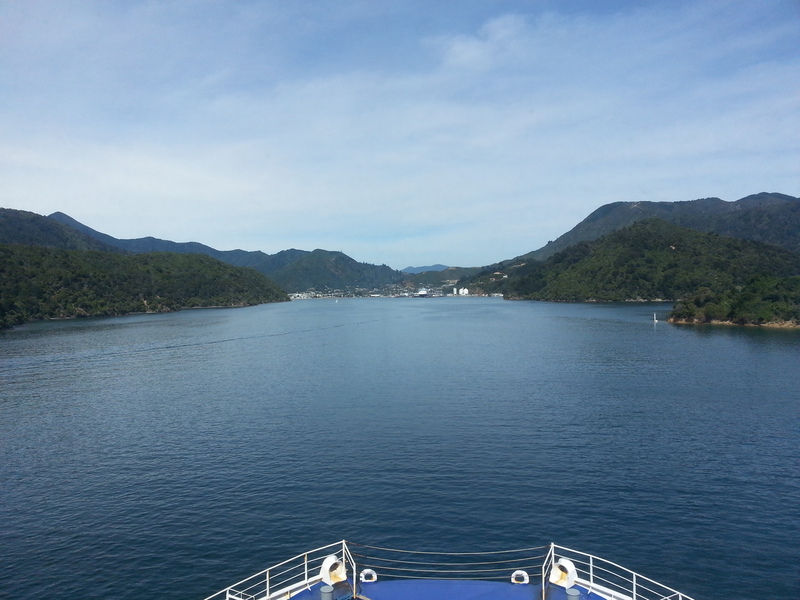 The ferry docked at Picton ~ 1330hrs and we then made our way onto Pelorus Bridge. It was whilst I was in Picton that I managed to lose what was to become one of many things. First off it was was my gloves. 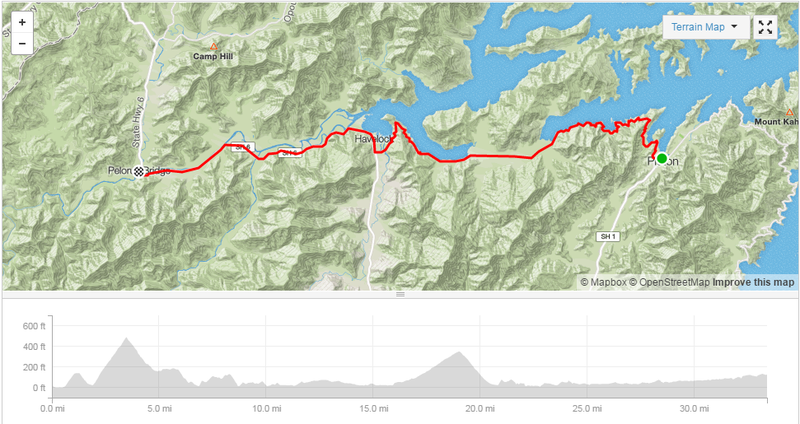 No idea how, but when I arrived at Pelorus Bridge they were no longer in my possession. 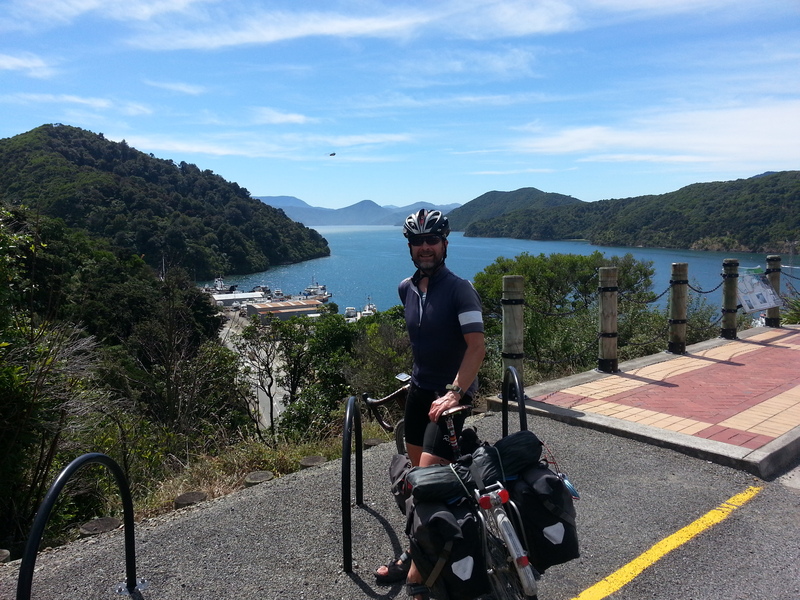 The scenery along the route to Pelorus Bridge was very scenic. The campsite at Pelorus Bridge was an ‘all services’ offering and as a result ~ $20. It had a river running right alongside the campsite and it had a great ledge that meant you could dive into the crystal clear waters. Dinner was … need I say more.